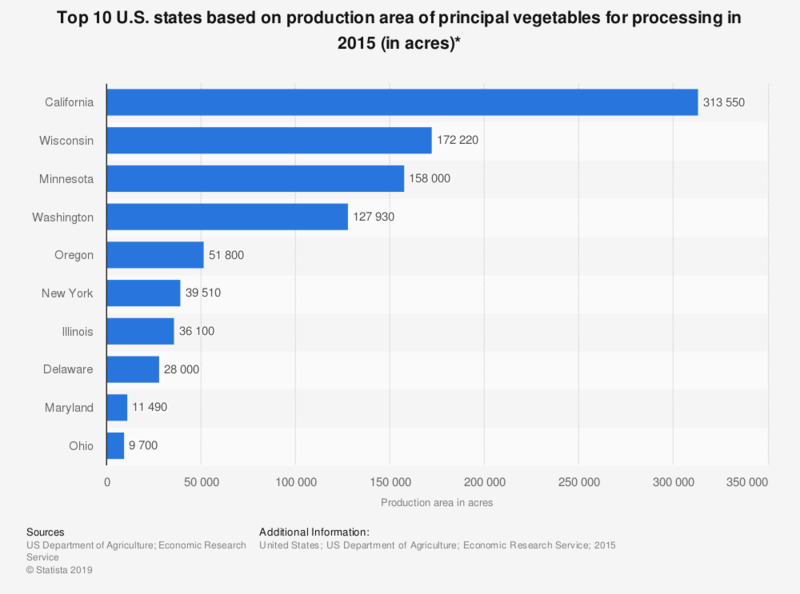 This statistic shows the top 10 U.S. states based on production area of principal vegetables for processing in 2015. According to the report, Texas had a production area of approximately 8,270 acres. * Vegetables for commercial purpose. Area for fresh market and for processing is area harvested. Includes Lima beans, snap beans, carrots, sweet corn, cucumbers (pickles), green peas, spinach, and tomatoes. Other vegetables processed (dual purpose) included in fresh market series of estimates.